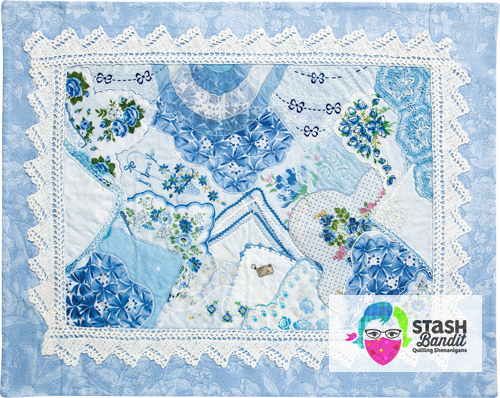 One of the sweetest quilts I ever came across is a Sunbonnet Sue baby quilt from the 30’s or 40’s. I’m not usually a fan of silly Sue, but this one was so charming that I couldn’t leave it behind. I love the rectangular blocks. They’re more interesting than square blocks. And notice that Sue has a friend. Or maybe she’s a twin. There are two Sues on each block. I love the solid colors used for each little girl. They’re so cheerful. 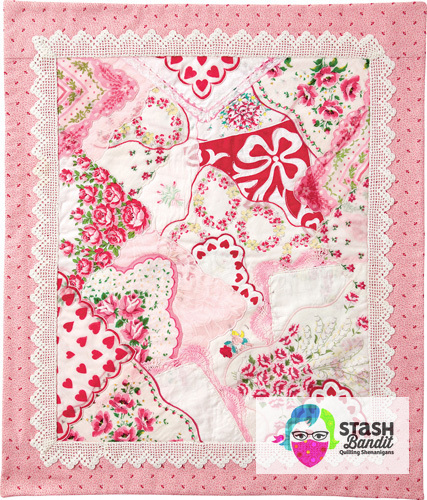 My trunk show called “One Hundred Small Quilts” contains three Hanky Panky quilts. This idea originated (as far as I know) with Cindy Brick from Castle Rock, Colorado. She visited Nebraska a few years back to teach her hanky quilt techniques. Hanky Panky quilt by Diane Harris. Photo by Mellisa Karlin Mahoney. Used with permission. I’d always loved vintage handkerchiefs, and my mom loved and collected them, too. So I come by it honestly, as they say. And when I learned how to combine them by layering and embellishing, I never looked back. These three little quilts get the warmest welcome when I share them with quilt groups. It makes me so happy. 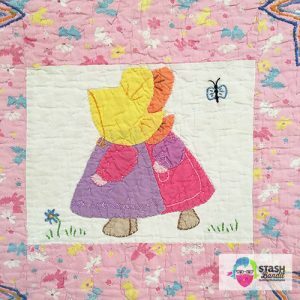 With Cindy’s permission, I wrote about the process for Quiltmaker, and now (with Cindy’s blessing) I teach others how to make these little treasures. I think it’s good to get vintage hankies out of the drawers and closets and storage areas and put them into something beautiful where they can be enjoyed every day. If your hankies are very special, e.g. 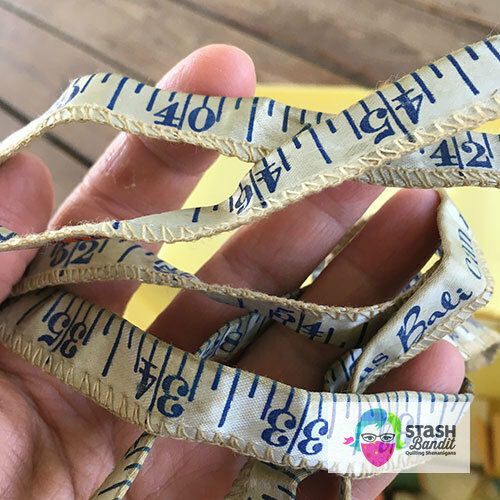 they belonged to an ancestor, or very valuable, then you might wish to pick others for your first project. There are some hankies that shouldn’t be cut up. But there are millions, yes, millions, of hankies that are perfect for this kind of project. 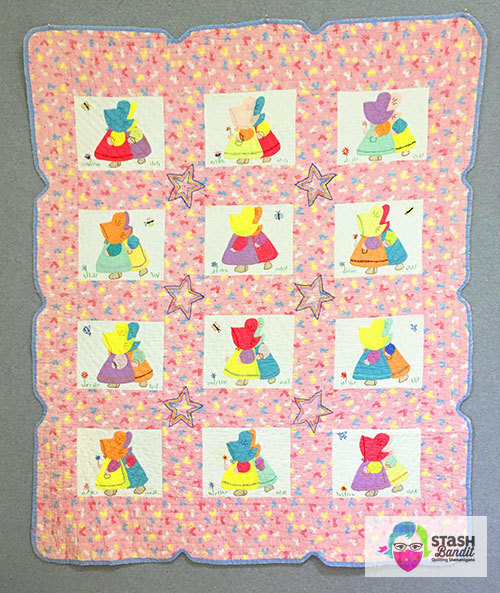 I’d love to share this class with your quilt group, so give me a call and we’ll set it up. Let’s Play Hanky Panky! Much to my fella’s chagrin, I brake for garage sales. He’s not usually with me but he still rolls his eyes when I bring stuff home. It’s okay, I know how to ignore that. The other day I stopped by a very junky looking sale with a ton of stuff all over the yard and driveway. I scored some random Legos for my grand boy for 25 cents, and bought the topic for today: A vintage sewing box full of sewing stuff.